Browse: Home / Droidsinia – mobile security platform tool. 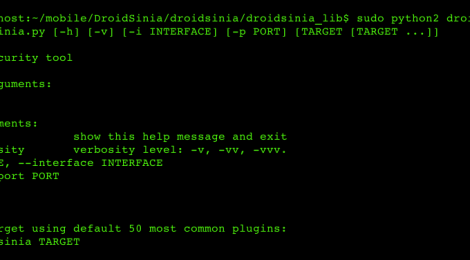 DroidSinia is a CLIENT-SEVER platform for do attacks in second layer. The dinamic mobile interface (client) can control a Raspberry (server) to send params and that the server execute this request for do attacks. + Kivy python mobile module app. + droidsinia server: Droidsinia let us run many powerfull aplications in a linux server using a android. ← PulledPork v0.7.3 – Making signature updates great again!